Generally a contract of employment can be terminated by either side giving the appropriate notice to the other party. However, in some circumstances an employer may wish to dismiss an employee without notice and make a payment in lieu of notice instead. This may be appropriate in a redundancy case or where an employee is being dismissed following a capability process. 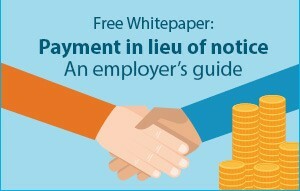 This XpertHR “how to” guide steers employers through the issues they need to consider when making a payment in lieu of notice.